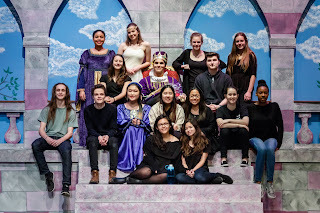 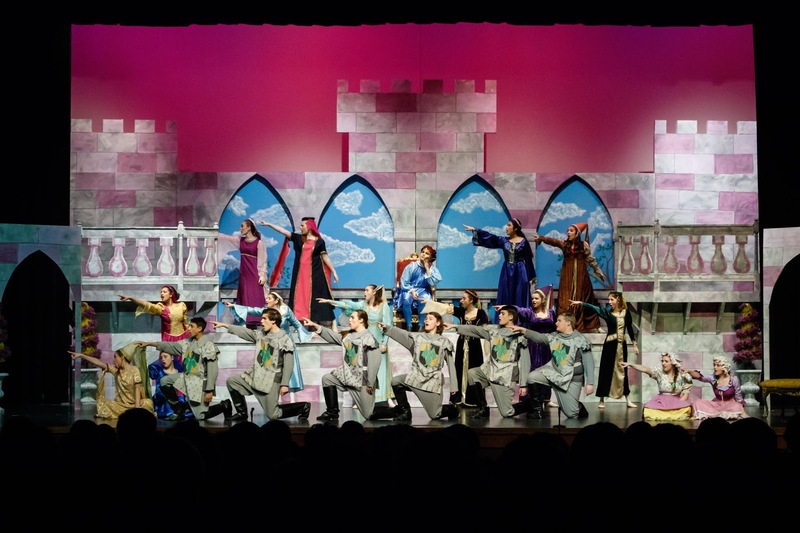 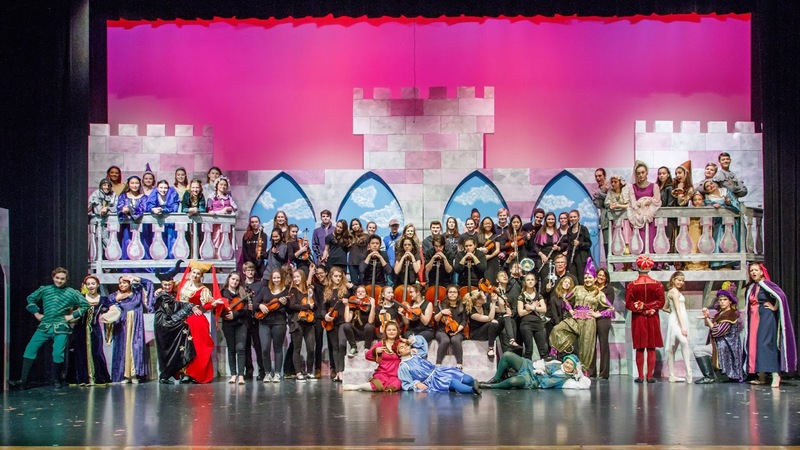 The Wyoming High School Theatre Arts Department produced the boisterous, fun, and energetic musical Once Upon a Mattress on February 23-25. 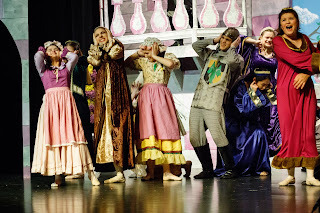 Crowds of attendees enjoyed the classic story of The Princess and the Pea set to a score made famous by Carol Burnett. 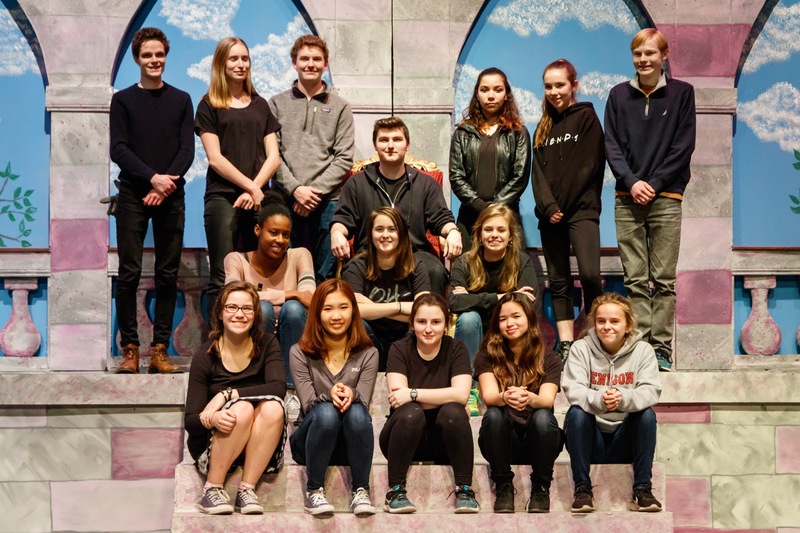 With 75 students involved in all aspects of the production - cast, crew, and pit orchestra, there were plenty of roles for students wanting to get involved. Congratulations to all involved! 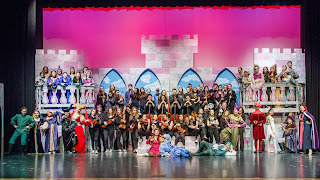 The entire cast, crew, and orchestra posed on the set built by the students. The cast of the musical danced on the colorful, elaborate set. 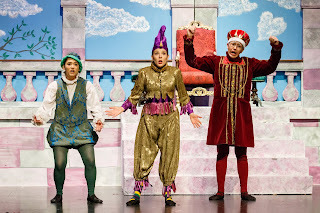 Aidan Holubeck, Katy Vanatsky, and Vincent Chow played the Minstrel, the Jester, and the King. Princess Fred, Ellie Donnelly, sang too loud for these folks in the kingdom. The hardworking tech crew is rarely seen, but the show could not happen without them. 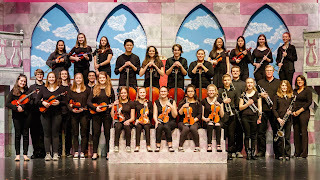 The pit orchestra worked hard to master the music for the productions. 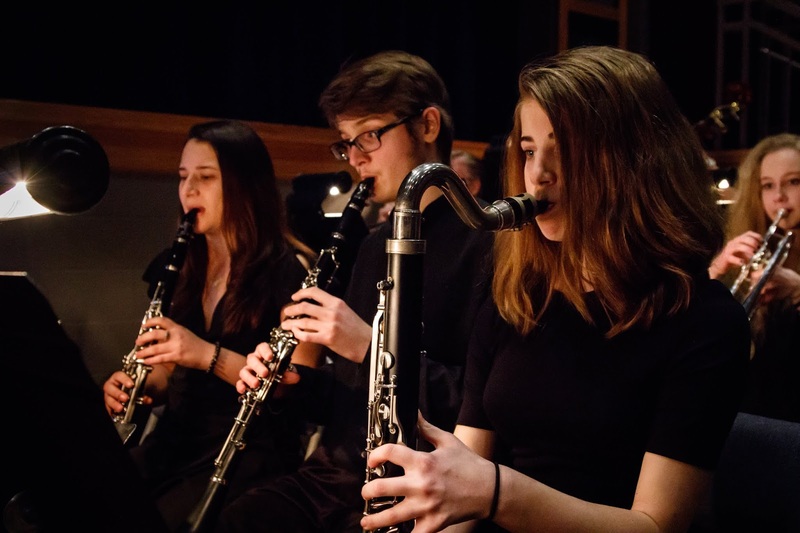 Student musicians from both band and strings classes could participate in the pit orchestra as an extracurricular activity. 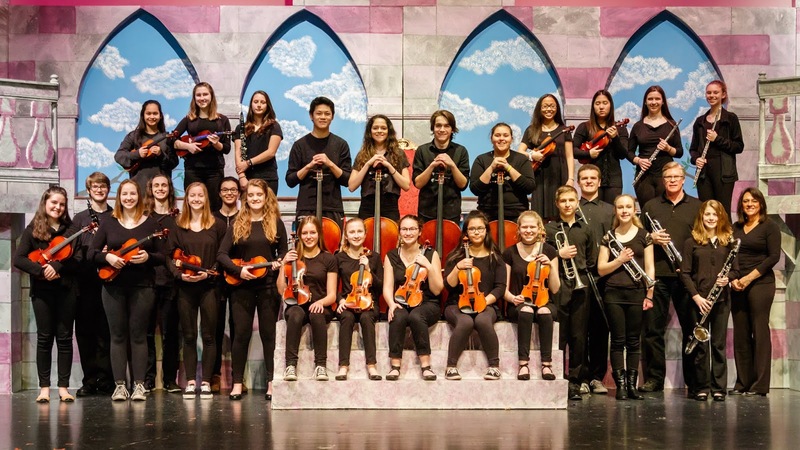 These seniors participated in their last high school musical, and they filled leadership roles both on stage and off.